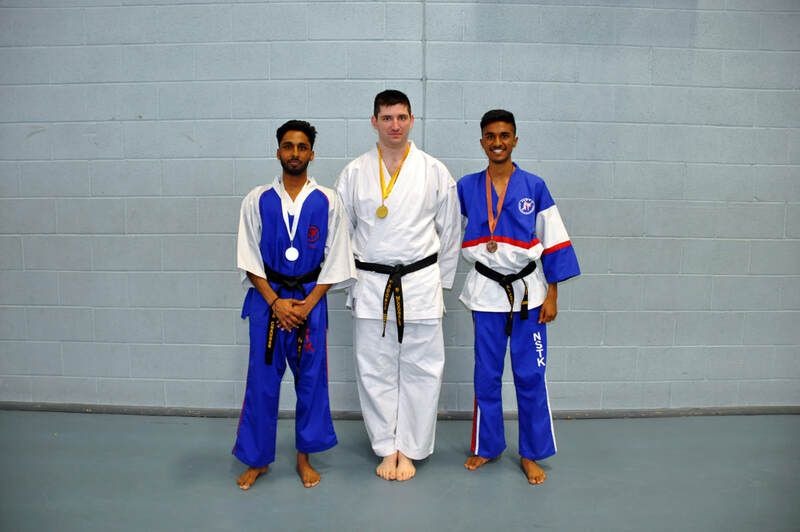 ​The Annual summer course took place at the Ashbourne Leisure centre on Sunday July 1st, 2018. ​The course was a great success with some making new friends and learning new techniques whilst having an enjoyable day. A special thank you goes to all the Instructors who taught on the course, for their enthusiasm and skill. and most of all the students whose hard work was a credit to our group. 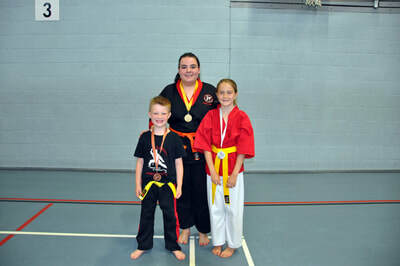 Promoted Dan grades left to right: Jordon Ridley 2nd Dan. 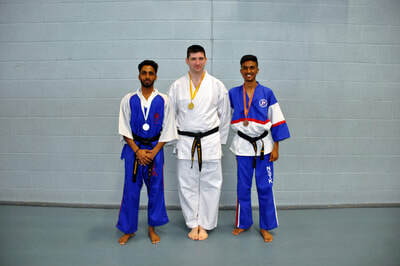 Adam Poole 2nd Dan. Kevin Perks 3rd Dan. 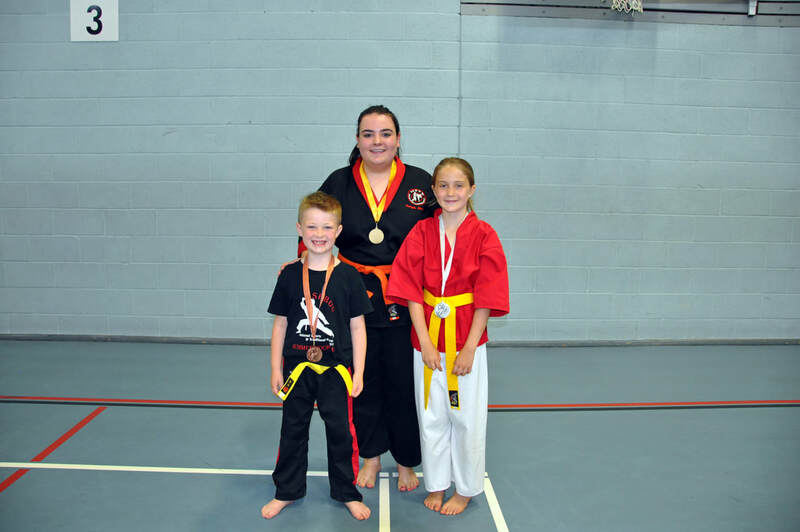 ​Laura Connelly 3rd Dan. 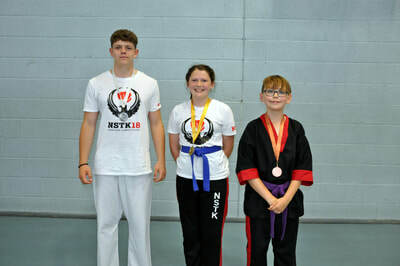 Nathan Galt 6th Dan.